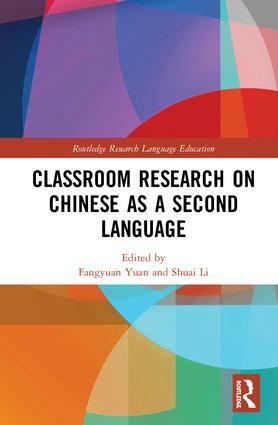 This collection brings together a series of empirical studies on topics surrounding classrooms of Chinese as a second language (L2) by drawing on a range of theoretical frameworks, methodological strategies, and pedagogical perspectives. Over the past two decades, research on classroom-based second language acquisition (SLA) has emerged and expanded as one of the most important sub-domains in the general field of SLA. In Chinese SLA, however, scarce attention has been devoted to this line of research. With chapters written by scholars in the field of SLA—many of whom are experienced in classroom teaching, teacher education, or program administration in Chinese as a second language—this book helps disentangle the complicated relationships among linguistic targets, pedagogical conditions, assessment tools, learner individual differences, and teacher variables that exist in the so-called "black-box" classrooms of L2 Chinese. Fangyuan Yuan is a Professor in the Languages and Cultures Department at the United States Naval Academy, USA. Shuai Li is an Associate Professor and Chinese Program Coordinator in the World Languages & Cultures Department at Georgia State University, USA.